Two-man delivery or white glove delivery is transforming the delivery industry for the better. Responding to the changing customer demands, this type of delivery service is a lot more about customer service rather than manual assistance. White glove delivery is ideal for big-ticket items, furniture or delicate items which cannot be transported by a normal courier. White glove delivery often includes delivery of the product to a specified room in the home or business. It then involves unpackaging the product and installing or assembling it. The delivery persons will then check the item for damage and ensure it is installed correctly before taking away the packaging, and sometimes taking away the old item. The way consumers shop is changing, and it is down to retailers to keep up with the changing tides. In the past year, the two-man delivery sector has seen a 6% growth, which is promising considering that the delivery industry as a whole has grown by just 2%. Rather than wait days for a delivery, or have to wait at home all day for an unspecified delivery time, customers now want next-day delivery at a time that suits them. Switching to this type of delivery service isn’t something you can manage overnight, but the benefits for businesses are too powerful to ignore. Offering white glove delivery means that the customer assistance doesn’t stop once the user has passed through the checkout. By delivery and installing the product and then taking away the packaging and old item, this will leave the customer with a positive opinion of your company. Often, ordering big-ticket items can be stressful, particularly if the customer is less mobile and wouldn’t be able to move a large item into their home. By offering white glove delivery, you can ensure that your customers have a positive experience with your brand throughout the shopping process. If an item is delivered to a customer’s door and they are then responsible for moving it inside their home and installing it, it is much more likely to be damaged. When using white glove delivery, you can ensure that the package is handled correctly throughout the process and that it is unpackaged and installed by an expert. It can also help to prevent damage to the customer’s property from incorrect handling. This reduces the number of broken items that need to be returned and replaced, which keeps costs down for your business. If an item is checked before it is left in a customer’s home, it will also ensure that they have a positive experience as they won’t be left with an item which does not work. 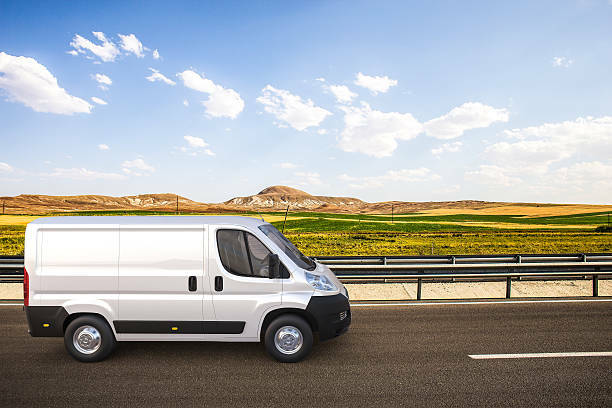 Delivering the item at a specific time means there are far fewer missed deliveries, which means that routes can be planned in a much more economical way. There are also environmental benefits when your company takes responsibility for taking away the waste packaging as it means you can take responsibility for ensuring it is properly processed. When customers have the option to have their old item removed, this also reduces the chances that it will end up in a landfill. Some customers may also resort to fly-tipping, which can be brand damaging if the item has your company logo. Two-man delivery is changing the way we think about delivery and companies should be aware of how this can benefit their business. Thinking about white glove delivery as an extension of your customer service team can help business owners to understand how the benefits will outweigh the costs of adapting to this new style of delivery.